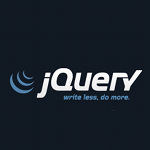 This list is a live document with the best and most reusable jQuery plugins that I know. Twitter, Google Plus and more. Waypoints – Makes it easy to execute a function whenever you scroll to an element.